Friends of Great Moor Park is a relaxed, friendly group aiming to improve the condition and facilities of the park in Norwood Road. We are all volunteers, live nearby and use the park. We are an independent group who plan to organize a small series of events to raise awareness of the park and engage with the community. We are not a large committee who hold lots of meetings and produce minutes. We welcome new ideas, suggestions and positive input. If you would like to be involved and help out please, please get in touch. If you have a local group who want to use the Park please let us know we will do our best to help you. We plan to raise funds to improve facilities for ALL users of the park and local community. 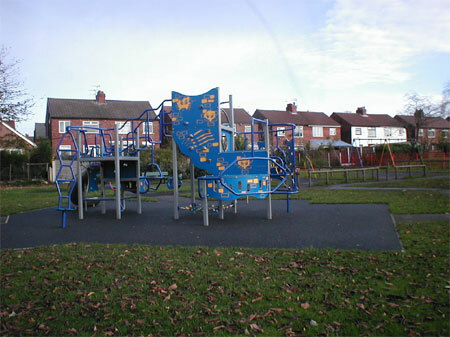 We work closely with Stockport Council and Park staff. During 2007 we secured use of the Bowls Pavilion for community use and by the Great Moor Junior Football Team. We also instigated a pro-social behavior Youth Project which is set to continue during 2008. Also for 2008 we should start to see further developments including new seating, improvements to the buildings, play areas and drainage. During the spring/summer months we host open evenings on the last Friday of the month and we hope you can join us.